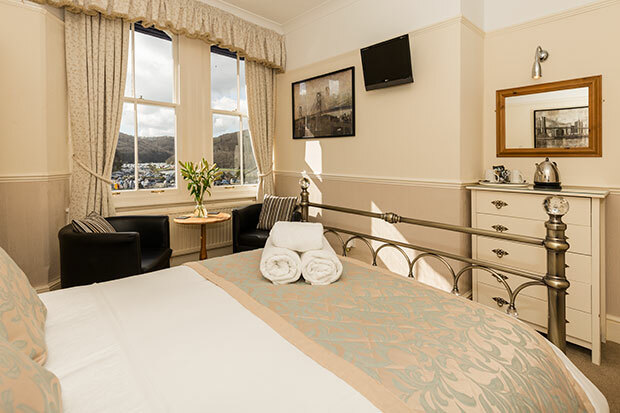 This is a double room with comfortable chairs and table where you can relax and watch TV or admire the view from the window. 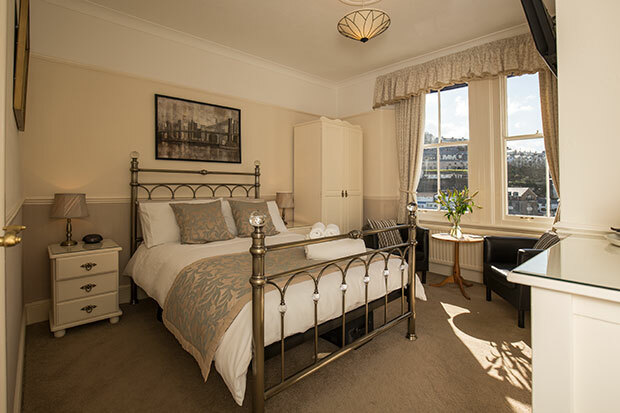 Front facing estuary view room. 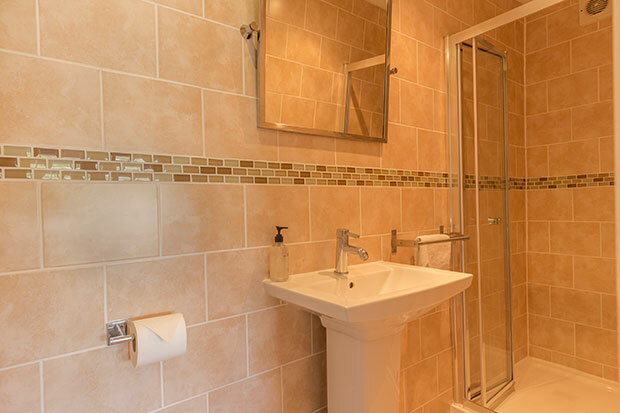 This room has an en-suite shower room with complimentary shower gel, shampoo and soap.